THE HEAD OF the British parliament’s media committee has accused Facebook of misleading lawmakers by downplaying the risk of users’ data being shared without their consent. Conservative legislator Damian Collins said he would ask Facebook chief Mark Zuckerberg or another executive to appear before his committee, which is investigating disinformation and fake news. Collins said Facebook has “consistently understated” the risk of data leaks and given misleading answers to the committee. Collins also accused the head of data firm Cambridge Analytica of lying. Alexander Nix told the committee last month that his firm had not received data from a researcher accused of harvesting millions of Facebook users’ personal information. On Friday, Facebook suspended Cambridge Analytica, which is best known for working on US President Donald Trump’s 2016 campaign, over allegations it retained improperly obtained user data after claiming it had deleted the information. Former Cambridge Analytica employee Chris Wylie says the company harvested information from 50 million Facebook users, using it to build psychological profiles so voters could be targeted with ads and stories. Collins said he would summon Nix to appear before the committee again. “It seems clear that he has deliberately misled the committee and parliament by giving false statements,” Collins said. Facebook also suspended the accounts of Cambridge Analytica’s parent organisation, Strategic Communication Laboratories, as well as those of University of Cambridge psychologist Aleksandr Kogan and Christopher Wylie, a Canadian data analytics expert who worked with Kogan. Cambridge Analytica was bankrolled to the tune of $15 million (about €12.2 million) by US hedge fund billionaire Robert Mercer, a major Republican donor. British newspaper The Observer said it was headed at the time by Steve Bannon, a top Trump advisor until he was fired last year. “In 2015, we learned that … Kogan lied to us and violated our Platform Policies by passing data from an app that was using Facebook Login to SCL/Cambridge Analytica, a firm that does political, government and military work around the globe,” Facebook said in a statement by its vice president and deputy general counsel Paul Grewal on Friday. Kogan also improperly shared the data with Wylie, it said. His app, thisisyourdigitallife, offered a personality prediction test, describing itself on Facebook as “a research app used by psychologists”. Some 270,000 people downloaded the app, allowing Kogan to access information such as the city listed on their profile or content they had liked. 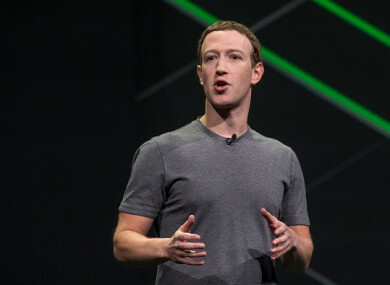 Facebook later pushed back against the claim of a data breach, issuing a fresh statement yesterday that suggested the misused data was limited to those who voluntarily took the test. “People knowingly provided their information, no systems were infiltrated, and no passwords or sensitive pieces of information were stolen or hacked,” Grewal said. Cambridge Analytica meanwhile said it was in touch with Facebook “in order to resolve this matter as quickly as possible​”. “No data from GSR was used by Cambridge Analytica as part of the services it provided to the Donald Trump 2016 presidential campaign,” it said. Email “Facebook accused of misleading British parliament over data leak risk”. Feedback on “Facebook accused of misleading British parliament over data leak risk”.